"Sterilization of surgical instruments is absolutely critical, but monitoring every load with a conventional 24-hour biological indicator has very little practical value"
ST. PAUL, Minn.--(BUSINESS WIRE)--Behind every successful surgical team is a sterile processing department managing the delicate balance between ensuring that equipment is appropriately reprocessed while maintaining productivity and efficiency. Fast responses depend on fast results, and 3M is driving speed with the introduction of the new 3M™ Attest™ Rapid Readout Biological Indicator System – providing biological results for vaporized hydrogen peroxide sterilization in just four hours. For decades, sterile processing departments around the world have depended on 3M™ Attest™ Biological Indicators (BIs) to monitor steam sterilization loads. More than 850 million cycles have been monitored by Attest BIs worldwide, and now the trusted Attest rapid readout technology can be applied to monitoring vaporized hydrogen peroxide sterilization. With BI results in just four hours, information is ready while there is still time to act. With this breakthrough speed, sterile processing staff can alert surgical personnel while a patient is still in the OR, or even stop a contaminated instrument from being used at all. Results can be documented on the same-day, during the same shift, and perhaps with the same operator – helping to standardize release practices and simplify workflows. Connectivity to popular instrument tracking systems helps teams streamline record keeping and avoid documentation errors. 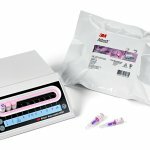 3M’s breakthrough rapid BI system, consisting of the 3M™ Attest™ Rapid Readout Biological Indicator 1295 and the 3M™ Attest™ Auto-reader 490H is cleared for use with all current cycles in three models of STERRAD® Sterilizers: the 100S, the 100NX®, and the NX®. These sterilizers represent the majority of vaporized hydrogen peroxide sterilizer models in use in the US healthcare market today. For more information, visit go.3M.com/VH202. 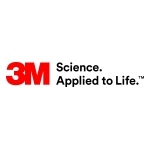 3M and Attest are trademarks of 3M Company. STERRAD, 100NX, and NX are registered trademarks of Advanced Sterilization Products, Division of Ethicon US, LLC. 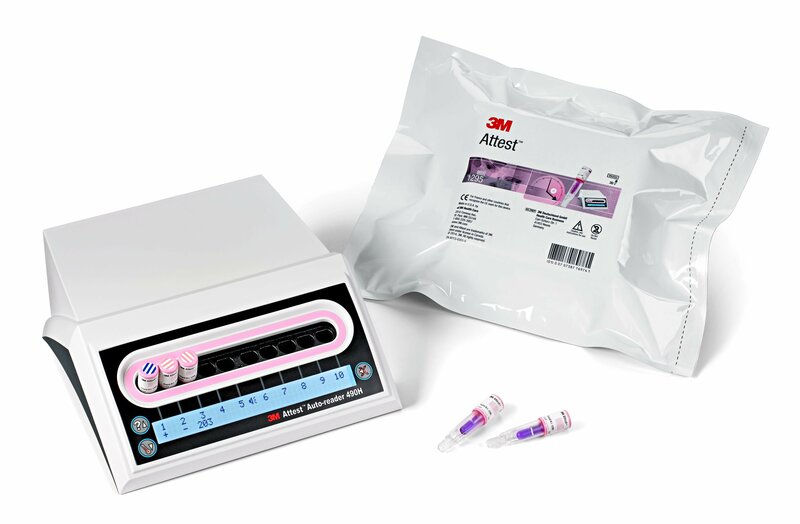 3M(TM) Attest(TM) Rapid Readout Biological Indicator System (Photo: 3M).